Keith Tucker has been a committed community activist and businessman for over 20 years. He has worked hundreds of businesses, youth groups and community organizations throughout the years. He has worked with many icons in the entertainment business as a promoter, activist and culture builder. He spearheaded protests against the stereotyping of Hip Hop artists and mentored many youth over the years. In 2008 Keith hosted his own radio show (the Keith Tucker Show) and subsequently embarked on a documentary film project entitled "Pursuit of a Green Planet" where he learned to live his life as a vegan. On his first research trip he visited the Seattle Vegfest and tasted vegan food for the first time. 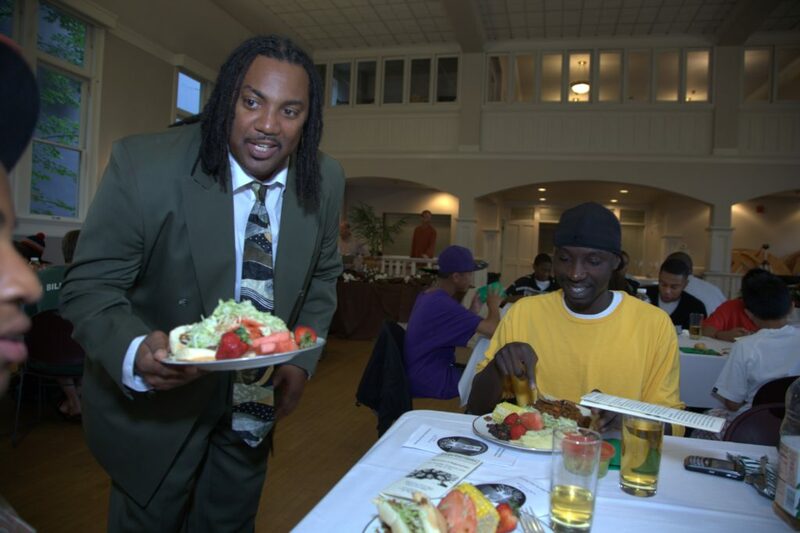 This experience was the catalysts for him to start to serve free plant based meals to the youth in the community and bring Hip Hop performers to entertain and educate a new generation through the Hip Hop Green Dinners. So in 2009 he held the first Hip Hop Green Dinner in history. Since then he has assembled the largest team of Hip Hop artist and educators in the world all with the goal of bringing health and wellness to youth and families around the country. In 2015 he was the architect of the Hip Hop is Green tour, first ever national plant based Hip Hop tour in history. In 2016, he produced the historic 10th Element of Hip Hop Health and Wellness tour and officially implemented “Health and Wellness” as the 10th element of Hip Hop Culture. He is an ambassador of Hip Hop culture and in 2015 he produced the first plant based Hip Hop event at the White house and has received many awards such as the Martin Luther King County Executives Award for Community service, the African American Achievement Award, the 2015 Jefferson Award and in 2017 he was one of 5 people in the Nation nominated for Michelle Obamas Partnership for a Healthier America Catalyst for change Impact award. And in 2017 he started more than 30 chapters of Hip Hop is Green around the world.